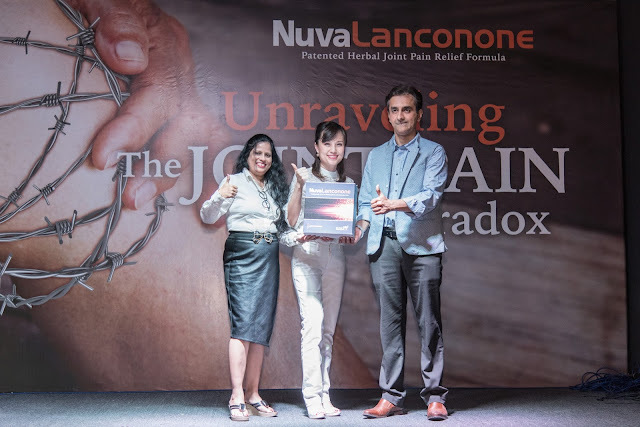 Hello loves, you must be wondering why I would need or even be interested in this unraveling of Joint Pain Paradox breakthrough. This is because my mom and those I knew always complain of having such pain or sore when walking or even just accompanying me shopping. Pic credits to bae Ivy. So this is a topic that I am very keen on. Many people with arthritis joint pain are usually left untreated and worsens when treated with painkillers. This kind of dilemma is a daily struggle for an estimated 60% of the worldwide population aged 65 years and above with little hope of of recovery. "Each day ends with an unbearable ache in your knees while each morning begins trying to get your stiff knees to warm up. It is not the sorta pain from a broken bone that eventually gets better, but a festering ache and stiffness within your joints that is always there." This kinda pain can be at your knees, spine, hands, hips, fingers, shoulders and back too! It does not only happen coz we are at that age but the risk of developing degenerative joint disease increases with age as is being of the female gender and being overweight. 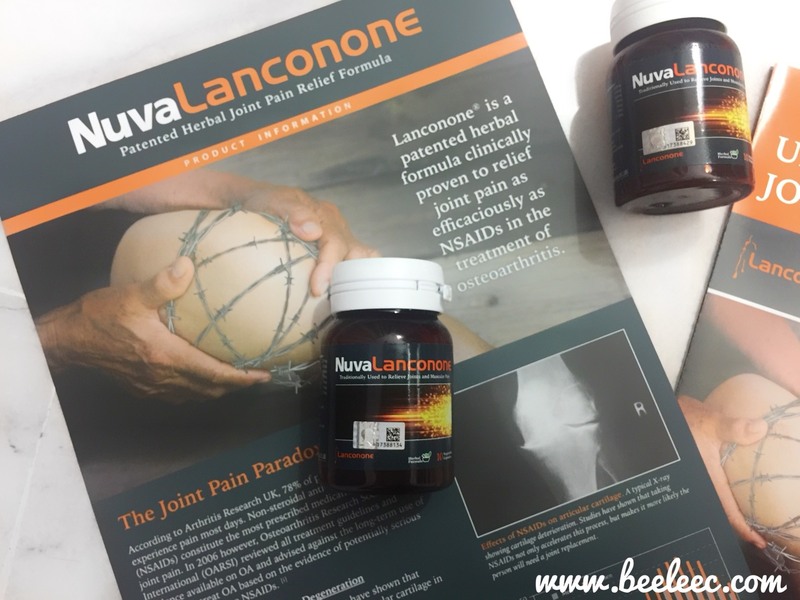 Get Lanconone today as its as effective than NSAIDs in pain relief and there are no negative side effects like the NSAIDs brings about. 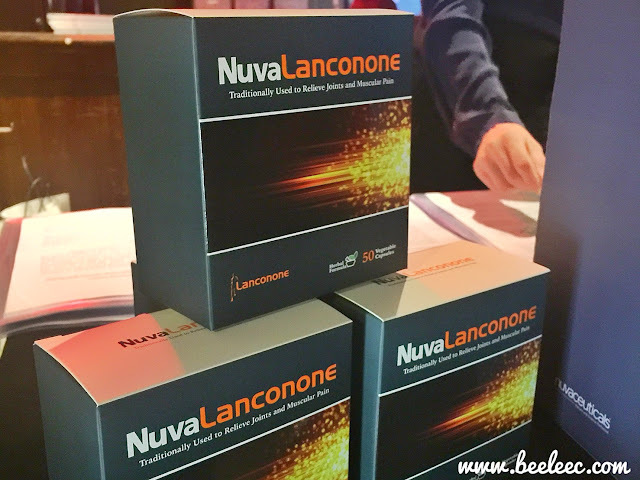 Thanks to Nuvaceutical for coming out with Lanconone®, joint pain sufferers can now enjoy more mobility with no side effects in a healthy manner! 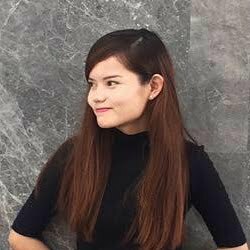 Datin Swanee Teh (Business Unit Manager of Nuvanta Sdn. Bhd. ), Amol Pathak (registered pharmacist and Associate Director of Enovate Biolife), Dr Shalini Srivastava (primary researchers in Lanconone®). 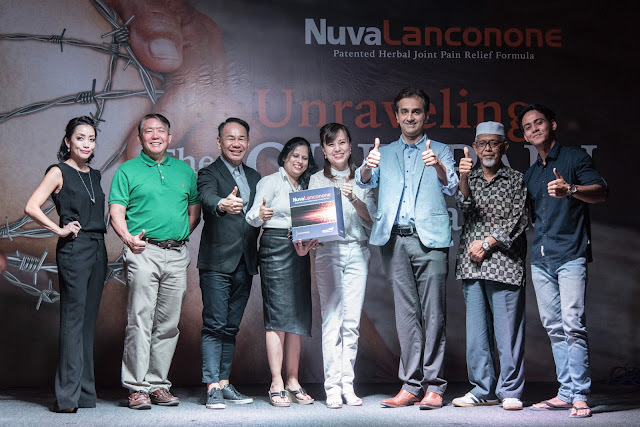 Nuvanta® is founded in 2004 and since then have been bringing to Malaysia and South East Asia some of the best quality products available from around the world to support your overall health and wellness. All its products are developed by a team of health professionals committed to optimising human health NATURALLY. Nuvanta® is today one of Malaysia's leading provider of premium natural pharmaceutical and skincare brands. Nuvaceuticals® is one of their brands. Here it is , the answer to a meaningful pain relief! Nuvanta® is honored to be working with Enovaate Biiolife in bringing clinically proven natural solutions such as Lanconone® to Malaysia. Lanconone® is a clinically proven Ayurvedic medicine. 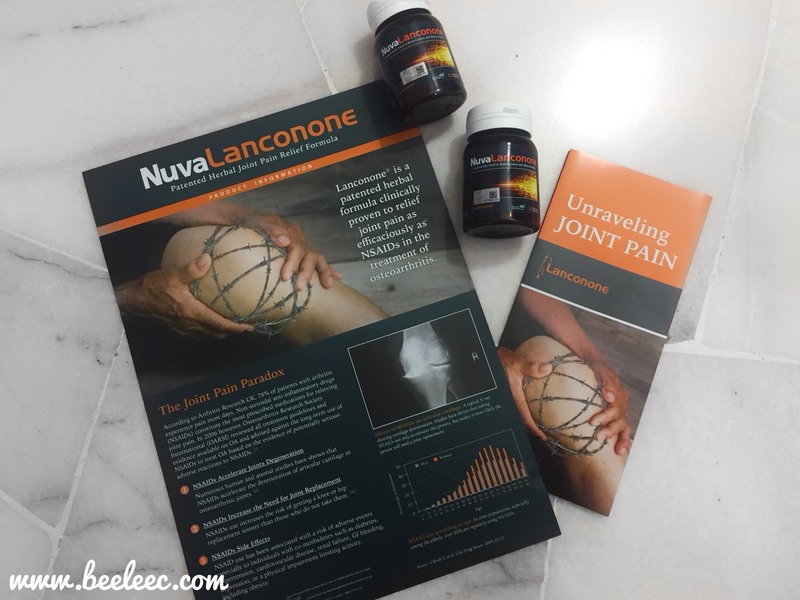 A plus point that I think many sufferers of joint pain will consider taking Lanconone® is that you get a 4-6 weeks medicine break after a consecutive 12-weeks treatment program! 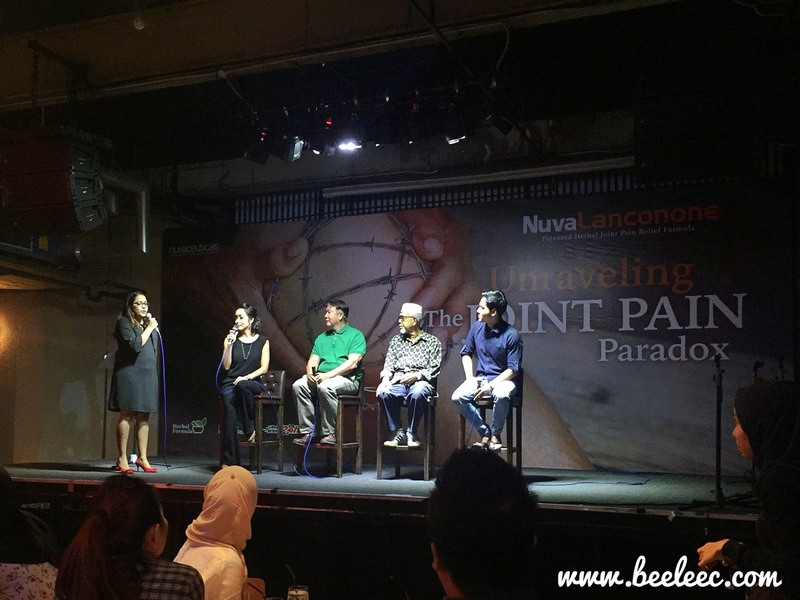 Serena C, Serena C's father (Eddie Choong), Dr Shalini Srivastava (primary researchers in Lanconone®), Datin Swanee Teh (Business Unit Manager of Nuvanta Sdn. Bhd. 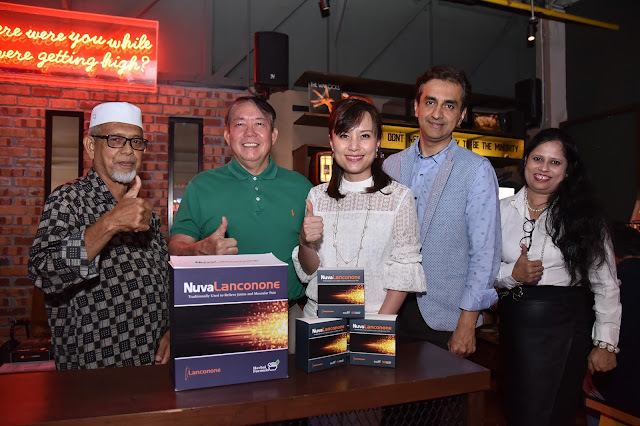 ), Amol Pathak (registered pharmacist and Associate Director of Enovate Biolife), Hafidz Roshdi's grandfather (Mohd Jabar @ Ibrahim b Ismail), & Hafidz Roshdi. "Each day is a struggle with joint pain as you battle between ability and disability." This reminds me of my grandma and aunt (even my mom who has osteoarthitis) who would love to join her daughter on trips but each steps reminded of her limitations. Slowly, social engagements were also erased. This just sounds so terrible! I don't want that for my future! The conventional pain management that many turn to are prescribing painkillers, NSAIDs, such as ibuprofen, naproxen, celecoxib, and etoricoxib. It is found that as many as 70% of individuals over the age of 65 years take NSAIDs at least once a week, with about half of this group taking an NSAID daily. According to Osteoarthritis Research Society International (OARSI),they found a worsening decline in joint function, and increased need for hip and knee replacements in osteoarthritis patients taking NSAIDs amongst others,the committee has advised against the long term use of NSAIDs to treat osteoarthritis. They have also done 3 human studies comparing the pain relief of Lanconone® and ibuprofen. The result is that the group who takes Lanconone® has a more rapid pain relief than the other group who takes ibuprofen. Its an overall improvement in terms of meaningful relief, joint stiffness and reduction in joint discomfort after discontinuation. We also hear testimonial from Serena's dad and also Hafidz's grandpa. According to Serena C's father, Eddie Choong, he never takes painkillers. He have been suffering from lower back pain. After taking Lanconone® regularly for 3 weeks, there are significantly less pain and mobility has improved. He also believed that with constant workout, the effect would be more optimal. As for Hafidz Roshdi's grandfather, Mohd Jabar @ Ibrahim b Ismail, he has suffered from chronic pain and is diagnosed with gout since 3 years ago. He can see significant improvement in mobility after a week of consumption of Lanconone®. He is thankful that he can now walk further and worship with ease. Anyone with joint pain with co-morbidities (diabetes, hypertension. cardiovascular disease, renal failure, GI bleeding, depression, or a physical impairment limiting activity, including obesity; and also patients with joint pain allergic to NSAIDs. Hafidz Roshdi's grandfather (Mohd Jabar @ Ibrahim b Ismail), Serena C's father (Eddie Choong), Datin Swanee Teh (Business Unit Manager of Nuvanta Sdn. Bhd. 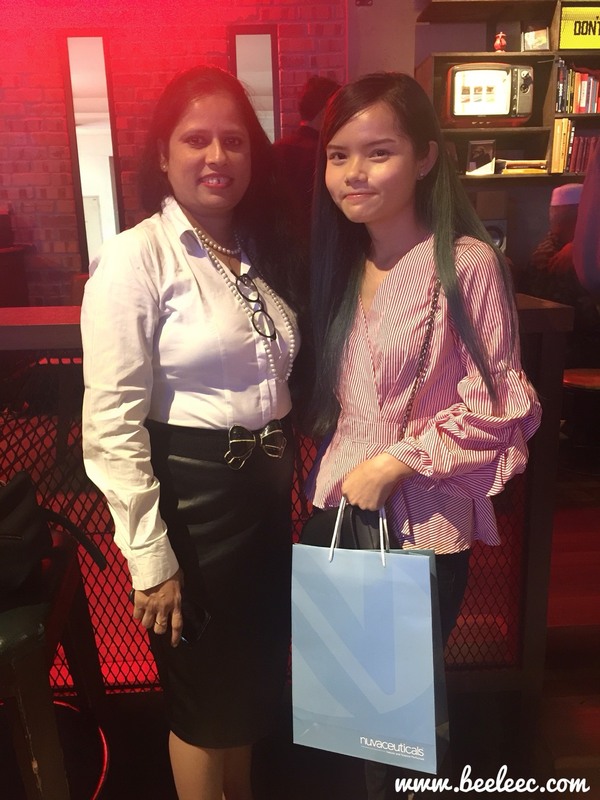 ), Amol Pathak (registered pharmacist and Associate Director of Enovate Biolife), Dr Shalini Srivastava (primary researchers in Lanconone®). It was nice talking to you Dr Shalini!. Image credits to bae CJ. Patented herbal formula comprised of 7 authenticated Ayurvedic herbs. Proven efficacy in human studies. 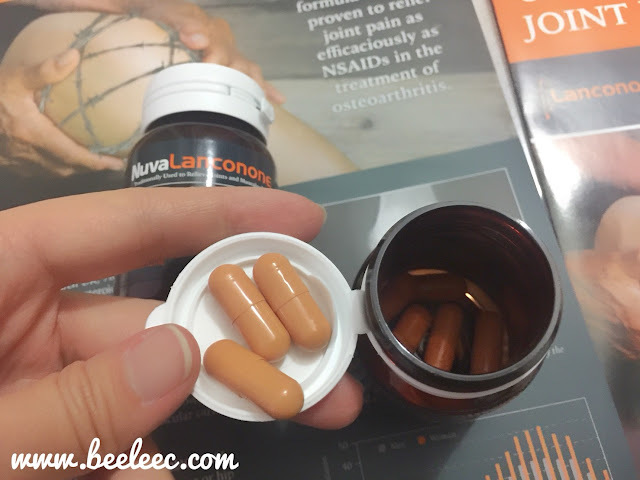 Lanconone® retails for RM160 for a pack of 50 capsules. It is available at Guardian, Caring, AA and other leading pharmacies nationwide. I have received these minis and passed it to my mom. She does not have much pain but the only major one she had was some ligament thing pulling feeling at her hands or arms. It does help a bit with lowering the pain at certain times but its still there. 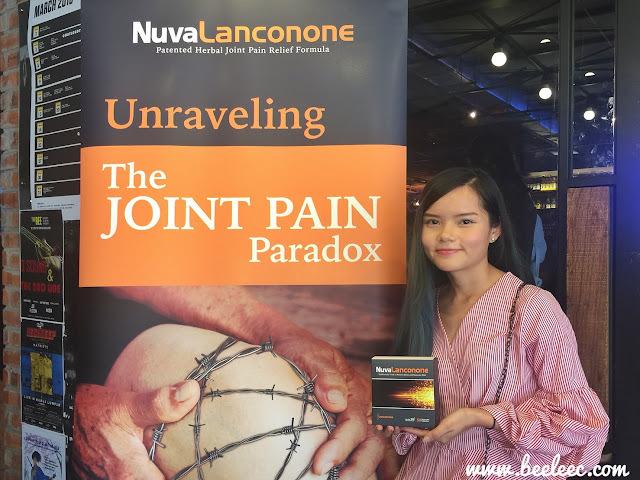 I would recommend to those who is really experiencing joint pain coz the testimonials seems really awesome and you can now ignore NSAIDs for a healthier and more quality living!